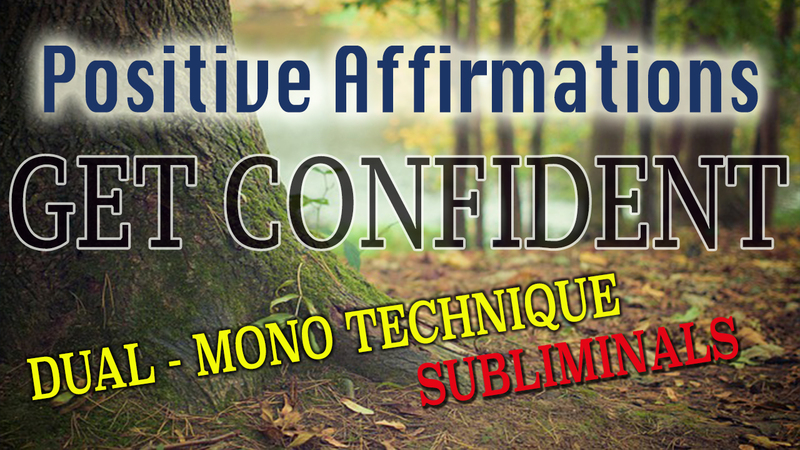 Powerful Affirmations now with Dual Mono + Subliminals! To change negative beliefs, it is important to fill your mind with new, positive ones instead. The more we repeat something in our mind (or out loud) the more we believe in it, and it will eventually form into an unconscious belief of ours. These affirmations focus specifically on confidence and making you feel more secure, trusting in yourself. They are the follow up to last week’s Confidence-Booster meditation. [If you have not watched the video you can click HERE] The few minutes are packed with powerful meditations that you can listen to whenever you got a little time and want to boost your confidence. These affirmations are particularly powerful, as they are recorded in my ‘Dual Mono Technique’. You will hear each affirmation 3 times. First in the center, then left and the right – this is also why it is best to use headphones when listening. Listening to each affirmation like this for 3 times, makes sure it reaches your unconscious , as well as your day to day thinking style. The benefits are hence much more intense than with just repeating any affirmation once or in a regular way. 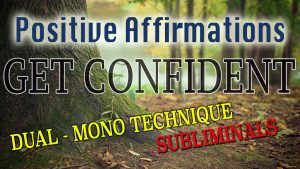 The additional Subliminals-Affirmations-Track makes sure that all of these powerful affirmations reach your subconscious, even if you do not belief them at first! This track plays very low in the background and is hence almost not audible to your conscious mind, which restricts it from dismissing them before they can reach your subconscious. Subscribe to the newsletter for FREE downloads!! !